In 1930, George Jenkins opened the first Publix store in Winter Haven, Florida. In 1935, he opened the second store in Winter Haven, and both were successful. World War II’s materials shortage prevented more stores from opening. By 1951, the company moved its headquarters to Lakeland, Florida, where it still is today. 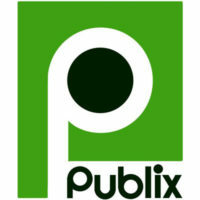 You can find the Publix application link below. The chain currently has more than 1,000 stores in six states. These six states are Florida, Tennessee, North and South Carolina, Alabama and Georgia. Currently, Florida is the state with the most Publix locations. Each store has about 130 employees, meaning that the supermarket company employees about 130,000 people in the United States. The company offers its customers a variety of products and services. If customers can’t find products in one of the store’s many departments, the store has a special ordering service that will get the products to the store for the customer. Departments include grocery, bakery, floral, meat, seafood, deli and produce. Some stores also have a pharmacy, liquor department, cafe or sushi department. The company values diversity and sustainability. Diversity is important to the company, because it allows for fresh ideas from unique perspectives. As a business, the supermarket also understands that sustainability is important to both Earth and the company. The company started its Green Routine in 2001 and has since sold more than 36 million reusable bags, which saved 3.5 billion plastic bags. Publix careers offer something for everyone. There are corporate positions, hourly positions and managerial positions. Corporate careers include job opportunities in finance, human resources, information technology, purchasing, marketing, loss prevention and public affairs. Any one of these career options will require more job experience than in-store employment opportunities and will come with more benefits. In-store positions are either hourly or managerial. Managerial positions include department manager, assistant department manager, store manager and assistant store manager. Hourly positions include baker, cashier, bagger, floral associate, demonstrator and stocking associate. Some of these positions are entry-level, such as cashier and bagger. Some of these positions could be great for people who are just looking for seasonal work. You have to be at least 14 years old to start working Publix jobs. The stores are open from 7 a.m. to 11 p.m. Monday through Saturday. On Sundays, stores open at 7 a.m. and close at 10 p.m. Employees may have to work shifts outside normal business hours to keep the store clean and ready for customers. The company offers its employees a variety of benefits. Aside from competitive pay and flexible work hours, associates may also quality for additional benefits that include health insurance, 401(k) retirement plans and employee stock ownership options. Employee assistance programs are also available for employees in need. Paid vacation and tuition reimbursement are also benefits that some employees may be eligible for. Assistant Store Manager – Assistant managers help store managers deal with common tasks in the grocery industry. Assistant managers work with the store managers to create and meet sales goals, order inventory and work with other store employees to see higher profits and customer satisfaction. They might also help with hiring new associates. Each year, assistant store managers generally bring in about $85,000 per year. Cashier – Responsibilities for cashiers are greeting customers, running cash registers, answering customer questions, helping baggers and managing money. Some cashiers may need to help restock shelves and clean the stores. Other responsibilities could include helping with returns and training new associates. Cashiers typically start out making near $8 per hour. Store Manager – Store managers have to keep their stores running efficiently. Store managers help train new associates, create work schedules, hire new employees and work closely with store staff. They also must be able to meet sales goals and manage money. Managers work closely with assistant managers. Salary for store managers averages around $117,650 per year. Stocking associate – Stockers help unload trucks, organize storage rooms and fill shelves on the sales floor. Responsibilities also include keeping the sales floor clean, building displays and making sure that products aren’t outdated. Stocking associates also need to be able to answer questions for customers. The position usually pays around $9 per hour. Why did you choose to apply for jobs at Publix? As a potential new employee, you need to know why you want to work for a company. You could have read a list of company values and been impressed or you could shop there and love the way you feel in the store. Share the reason you applied with the interviewer. How would you deal with an angry customer? In retail, customers are bound to become upset about something, and no store is perfect. You will, at some point, deal with a customer who is angry. You need to know how to deal with that before it happens. Talk with the interviewer about what you would do. You can also ask for advice. What do you think is your biggest strength/weakness? Since every person is unique, every person will have a different list of strengths and weaknesses. It is how you deal with or overcome these that shows the kind of person you are. The interviewer wants to see what you think of yourself and how you can overcome difficulties. Managerial candidates should expect to answer more difficult questions, such as “What previous management experience do you have?” and “What management style to you prefer to use?” These questions are geared toward finding out if the candidates are qualified to take charge of their own supermarket. The company doesn’t have a printable application form or a place to click download application form. While you can browse all Publix jobs online and read the job description, you can’t apply for all Publix jobs on the website. The website will walk you through how to apply for Publix online if you are applying for positions that are not non-management positions. If you want to fill out a Publix job application online, you must want to work corporate careers or managerial jobs. Again, there is no printable application for Publix, so you will have to fill out an online application. This should be a direct application and you should upload your resume, as well. If you want a non-management position, you should go to a local Publix to fill out a free application form on the automated system. After you fill out the Publix application, ask to speak with a manager about your application form. The company doesn’t like people to apply online, because applicants can’t ask questions. It will take the managers a few days to review all the applications, but if you haven’t heard back within a few weeks, you can call to inquire about the status of the position. If you are called in for an interview, show up prepared and looking your very best.